I just finished reading, The Historical Jesus; Five Views. The first view was given by Robert Price, a leading Jesus myth proponent. 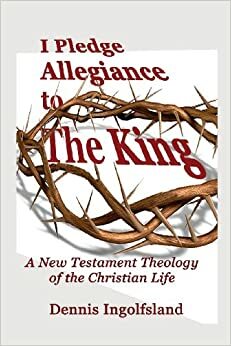 He is willing to concede that there could possibly have been a historical Jesus who “has been irretrievably lost behind the stained glass curtain of his own glorification,” (83) but Price believes that Jesus' existence has not been adequately demonstrated. Price believes that the story of Jesus in the Gospels has been fabricated by borrowing from the stories and heroes of pagan mythology. If any story in the Gospels has even a remote resemblance to some previous story in the ancient word, Price assumes that the Gospel writers must have borrowed the story. This is so self-evident to Price that he repeatedly simply asserts the point rather than bothering to demonstrate it. I have argued elsewhere that such methodology is patently absurd. The title of Price’s chapter is “Jesus at the Vanishing Point.” I am convinced that if Price’s total skepticism were applied fairly and consistently to other figures in ancient history (Alexander the Great, Ptolemy, Cleopatra, Nero, etc. ), they would all be reduced to “the vanishing point.” Price’s chapter is a perfect example of how someone can always, always find excuses to not believe something they don’t want to believe, whether that be the existence of Jesus or the existence of the holocaust. The second view was written by John Dominic Crossan, an emeritus professor at DePaul University and co-founder of the notorious Jesus Seminar. Contrary to Price, Crossan is convinced that Jesus was an actual person of history. In his discussion of Jesus, however, it almost seemed like Crossan spent as much time writing about the Roman Empire as he did about Jesus. Crossan says that his historical reconstruction of Jesus is based on the twin assumptions that 1) the so-called Q gospel actually existed and 2) that the Gospel of Thomas was written independently of the biblical gospels. 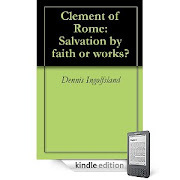 He acknowledges “If I am wrong on those presuppositions, my reconstruction is methodologically invalidated” (106). Although the existence of Q is affirmed by the majority of New Testament scholars, the majority of scholars have often been show to be wrong. I am convinced that if scholars like Crossan where even half as skeptical about "Q" as they are about Jesus, they would drop the idea of Q in a heartbeat. Recently the existence of Q has been strongly and persuasively challenged by prominent and reputable scholars (see The Case against Q and Questioning Q and, from another perspective, Beyond the Q Impasse. Regarding the independence of the Gospel of Thomas: In November, 2004 I was on a panel discussion of the Gospel of Thomas which included Dr. Crossan. Crossan presented his argument for the independence of Thomas and the panelists had an opportunity to make a brief response. I argued that Crossan was partially right. I agreed with Crossan that the Gospel of Thomas was not literarily dependent on the biblical Gospels, but was dependent on oral teachings from the Gospels (roughly half of the Gospel of Thomas has parallels to the biblical Gospels). I have since been convinced that Crossan and I were both wrong. Nickolas Perrin has convincingly demonstrated that the Gospel of Thomas was actually based on the gospel readings in Tatian’s Diatessaron (see Thomas, the other Gospel). The Gospel of Thomas looks like a collection of unconnected verses which defies any kind of organized arrangement—at least until Nicolas Perrin came along. I once heard Nicolas Perrin give a presentation in which he demonstrated that when the Gospel of Thomas is translated back into Syriac, almost every verse in that gospel is connected to the adjacent verse by “catchwords.” The Gospel of Thomas, therefore, was not just based on oral teachings of the Gospels as I had argued, but was based on the harmony of the Gospels found in Tatian’s Diatessaron which wasn’t even written until about AD 170. (For more information, see my essay on the Gospel of Thomas). In other words, Crossan’s two core foundations are based on some pretty shaky assumptions. Even if only one of these assumptions was false, Crossan’s entire methodology would be invalid by his own admission. Crossan’s Jesus was one who “announced the presence of the kingdom of God by inviting all to come and see how he and his companions had already accepted it, had already entered it and were already living it” (126). This involved a “communal program” in which Jesus and his disciples were to “heal the sick, eat with those you heal and announce the kingdom’s presence in that mutuality” (126). Any evidence that does not agree with Crossan’s minimalist portrait is simply dismissed as unhistorical. I have critiqued Crossan at greater length in an article which was published in the Princeton Theological Review. Luke Timothy Johnson, professor at Candler School of Theology, Emory University, is the third contributor. Johnson is not as skeptical as Crossan about what historians can know about Jesus. In fact, he provides a convenient list of things historians can know with the “highest degree of probability” (e.g. “that Jesus existed as a Jew in the first century,” was executed by Roman authority, etc.) and what can be known with “a very high degree of probability (e.g. Jesus proclaimed God’s rule, he performed healings, “he taught in parables and interpreted Torah, etc.) (159). Nevertheless, Johnson spent a lot of time discussing the limitations of history (161-167) and emphasized “Jesus is best learned through the practices of faith in the church: through prayer, worship, the reading of Scripture, and encounters with saints and strangers” (154-155). In the end, I can’t help thinking that Johnson holds to an existential view which, like Bultmann, says that we can know very little about the historical Jesus but we should worship the Christ of faith. The fourth contributor was James Dunn, a professor emeritus of Divinity at Durham University and author of a massive work on the historical Jesus entitled Jesus Remembered. Dunn takes issue with those in the past who have engaged in the “Quest for the historical Jesus” who began with the assumption that “the real Jesus must have been different from the Christ of Faith” (200). These critics set about to separate what they thought was the historical Jesus from the Christ of faith in the Gospels. As a result, their reconstruction of Jesus was methodologically pre-determined to be different than the Jesus of the Gospels. Dunn’s disagreement is expressed in his first proposal: “the quest should start from the recognition that Jesus evoked faith from the outset of his mission and that this faith is the surest indication of the historical reality and effect of his mission” (203). 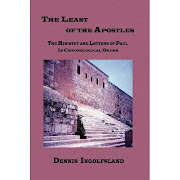 Dunn’s second proposal is that we take the “oral phase of the history of the Jesus Tradition with all seriousness (211). Dunn argues that the Gospels should be understood as separate oral performances of the Gospel story and that when these stories agree, they should be taken as evidence for the impact Jesus made on his followers: “the characteristic emphases and motifs of the Jesus tradition give us a broad, clear and compelling picture of the characteristic Jesus” (223). For a more detailed discussion of Dunn’s book, Jesus Remembered, see my article published in Trinity Journal. The fifth contributor was Darrell Bock, research professor of New Testament at Dallas Theological Seminary. Bock used the standard historical criteria like multiple independent attestation and the criteria of embarrassment to reconstruct a sketch of the historical Jesus. Bock arrives at a very biblical view of Jesus. He was the only one to discuss a historical basis for the resurrection. The difference between these five views can be summed up in one word: Methodology. Price’s methodology involves thoroughgoing skepticism to the extent that there is virtually no evidence that he cannot explain away—regardless of how silly some of those explanations might be. Crossan was slightly less skeptical of his biblical sources, but he relies to a large extent on the hypothetical Gospel of Q and the second century Gospel of Thomas for his reconstruction of Jesus. Johnson is not quite as skeptical of the historical value of the Gospels as Price or Crossan, but he believes that the real Jesus is discovered by faith. The difference between the methodology of Bock and Dunn is that Bock takes the critics own methodology to show that if used consistently, it will produce a very biblical sketch of Jesus, while Dunn proposes an entirely new methodology. In standard historical-critical analysis, when Matthew and/or Luke agree with Mark, this agreement is only viewed as one source since Matthew and Luke are assumed to have copied from Mark. In Dunn’s methodology, Matthew, Mark and Luke are assumed to have provided us with somewhat independent oral performances of the Jesus story so when Mathew, Mark and Luke agree, Dunn takes this agreement as evidence that goes back to what the very earliest followers of Jesus remembered about him. The historical reconstruction of Jesus by both Bock and Dunn cohere well with the portrait of Jesus presented in the Gospels, though Bock comes closer than Dunn. The Historical Jesus; Five Views is an excellent resource for better understanding the historical debates about Jesus, though I found myself wishing that the authors of each essay had the opportunity to briefly respond to their critics’ responses. He was on a terrorist watch list!!! Interpol and loss of U.S. sovereignty. More bombers who will strike soon? The story of "St. Lee"
What happened to freedom of religion? Remember the global cooling crisis? "not yet matching up with the president's words"